Summer is almost here. Oily skin tends to behave like a weirdo during the hot and humid summer days. That is why, it is essential that you start taking good care of your skin to make sure that your skin looks fresh and clean, minus pimples, acne, grease and whiteheads. Check out the best face packs that you can use this summer with the most easily available ingredients. The multani mitti-rosewater face pack is surely a classic. It has stood the test of time! Take a tablespoon of multani mitti powder and add enough rosewater to make a smooth and sticky paste. Apply this face pack on cleansed skin and wait for about 15 to 20 minutes. This pack helps remove excess oil and control the secretion of sebum. 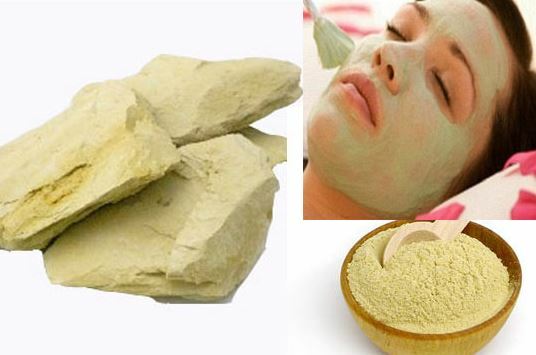 It prevents pimples, treats acne and helps rejuvenate your skin. Use this pack twice every week to reap the best benefits. The cucumber and yoghurt face pack is a perfect way to treat your oily skin this summer. Mix two tablespoons of yoghurt with a tablespoon of grated cucumber. You may refrigerate the pack for that extra-cooling effect. While cucumber acts as a natural toner, yoghurt helps you get rid of sun tan. This pack is excellent for soothing irritated skin, unclogging pores and treating acne. Take a handful of neem leaves and wash them clean. Blend the leaves well with enough rosewater and a few drops of lemon juice. Make a smooth paste and apply on face and neck. You may also use neem powder instead of neem leaves. Neem is known for its anti-bacterial properties that keep pimples away. Skin feels squeaky clean. This pack is a saviour during the summers. Mint and honey make a wonderful face pack that helps you beat the summer heat. Grind a handful of mint leaves and add a teaspoon of honey. Mix well and apply on face. This pack not only soothes you skin but also helps treat pimples. Use it at least once every week to get best results. Summer skincare should also include the consumption of plenty of water, washing your face with cool water several times a day, using sunscreen and keeping your skin clean. Bid good-bye to all your summer worries with regular skincare and homemade face packs that you can whip up with easily available ingredients in no time! Next story New Launch Alert! Maybelline New SuperBlack Colossal Kajal (16 hours formula)- Review and Swatch. Previous story Why Philippines Should Be Your Next Holiday Destination?